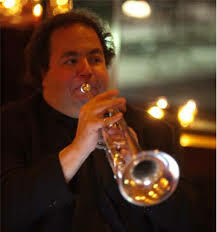 New York trumpeter MICHAEL MORREALE is a veteran jazz artist with tenure in groups led by Jimmy Knepper, Chuck Wayne, Scott Hamilton, and the Turk Van Lake Orchestra. Michael has performed at Lincoln Center and recorded six albums and two sound tracks with Joe Jackson. Michael's stellar resume includes many of the giants of jazz, but none come out in his playing more so than the legendary trumpeter Don Joseph. Michael's close relationship and apprenticeship under Don Joseph appears in almost every solo Michael plays. It is evident that Joseph's influence is never very far from Michael's heart, but Michael's voice is his own and the little glimpses he gives in his solos of Don Joseph is a testimony to Michael's superior musicianship. Michael's playing represents a deeply rooted foundation in bop with the lyrical approach of a modern Miles Davis. Michael's playing is also featured on the Straight Up CDs "Live in The Desert" (1997) and "No Need For Words" (2002). Michael has two original compositions on "No Need For Words" - May Ann (written in honor of Louis Armstrong's mother) and One Winslow (this tune title is the address of a house John Trentacosta had out in the woods of Staten Island; an infamous hang-out for almost twenty years where all night jazz sessions would take place and a veritable "who's who" of jazz musicians from Staten Island, Brooklyn, Queens, Manhattan, and the Bronx would congregate). Both these compositions have been described as "difficult to play for the musician, but at the same time incredibly melodic for the listener (a defining characteristic in all great jazz songs)". Santa Fe Music Collective is a 501(c)3 non-profit organization that raises its own funds through memberships, contributions, event revenues, and grants. All donations are 100% tax deductible and greatly appreciated.